creating Whiteshepherd Robinhood in 2018 - photography and video - Furtopia | Family Friendly Furry Forum and IRC Chat! Six years after creating Red Yoshi49q I take up sculpting again. There is a whole story behind this quest to take up sculpting again. But first things first. Since it had been so long since I made anything out of clay I had to watch and study YouTube videos of people creating art with clay. I binged for 4 days straight (aside from sleeping, bio breaks and eating)! I needed to find out what was the best clay to work with. Basically it boiled down to what the majority of artists preferred to use. But, before I could create the project that got me back into sculpting I needed to practice on some smaller items. That is where this one, ‘Whiteshepherd Robin hood’ came in. I started with Polymer clay. 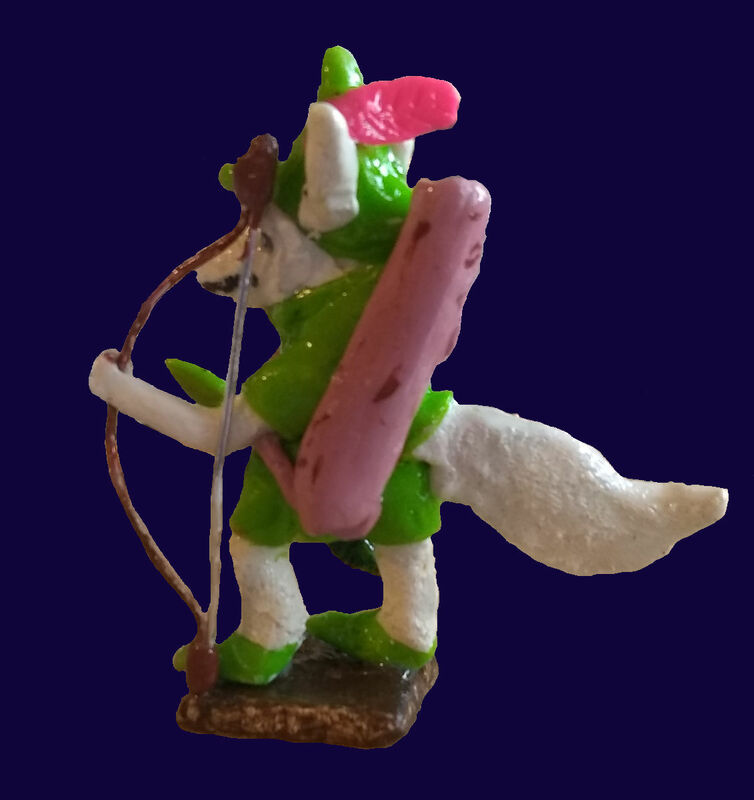 My friend asked if I could create a Whiteshepherd Robin Hood for him for his D&D game he played. I said, “Sure”. I looked up images of Robin Hood to get an idea of what he wore and his weapon. Then I came up with an idea. This video is the steps I took in making this little sculpture.